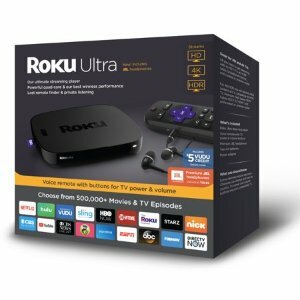 Walmart offers the Roku Ultra Streaming Player (2018) now with JBL headphones for $48. Features: Roku Ultra packs a powerful quad-core processor, our best wireless, and 4K streaming. Plus get a voice remote with TV power and volume buttons, private listening, lost remote finder, and premium JBL headphones.